Test out your football skills at Marina Mall Abu Dhabi and take a virtual reality trip into the history of the AFC Asian Cup 2019. Challenge your friends to a series of fun football skills on a simulator and discover who can hold their nerve in a penalty shoot-out. The free activations will also give fans the opportunity to buy tickets for the final few hotly-contested matches, as its reaching the closing stages. UAE play their next semi-final match against Qatar on Tuesday. Push yourself to the limit in the swimming, cycling and running challenge where athletes of all abilities and ages are invited to sign up for the Daman Challenge TriYAS open triathlon. The latest edition will be held on February 15 at Yas Marina Circuit. Registration closes on January 31. yasmarinacircuit.com. 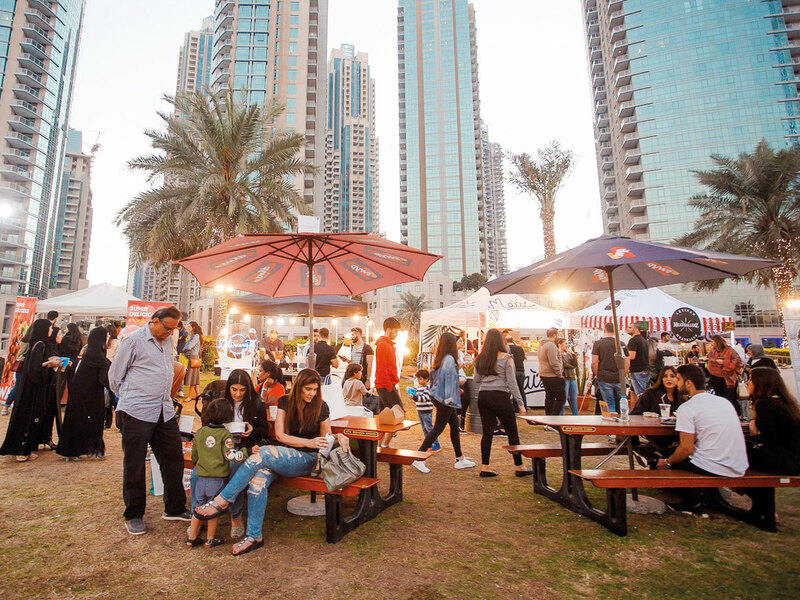 Market Outside The Box (MOTB), the al fresco market has returned to its annual residence at Burj Park, Downtown Dubai. Hosting a mix of emerging regional and international designers selling bespoke fashion, jewellery and homeware items for the whole family, along with a selection of the city’s best bites while enjoying the live entertainment daily. Sunday to Thursday from 4-11pm and Friday and Saturday from 10am to midnight, until February 2. Free entry. dsfmarketotb.ae. Global Village has launched an exclusive offer to enjoy an unlimited experience of the rides hosted at Carnaval, for a limited number of days. The carnaval wrist band is priced at Dh120 per person during the offer period (until January 30) that gives unlimited access to more than 30 rides throughout the day, also included is the 60-metre diameter Wheel of the World and the new Circus Circus show. Global Village is open from 4pm to midnight, Saturday to Wednesday and from 4pm to 1am on Thursdays, Fridays and public holidays. On Mondays, it is dedicated to families and women only. Entry is Dh15, globalvillage.ae. 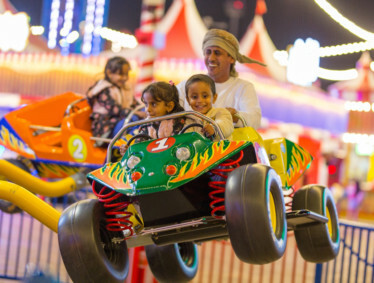 The Pirates of the Bay children’s fun park has opened at Dubai Festival City Mall’s outdoor waterfront, with games and activities for all children. Part of the Pirates of the Bay experience, families are welcome to experience pirate-themed play areas, water park, arts and crafts, pizza making, carnival games, popcorn, candy floss and more. Open every day from 3pm, until April. The Terra Amac Group that fuses jazz with contemporary dance, salsa, street moves and tango, will bring their charm and style to City Centre Mirdif this DSF. Shows at 4.30pm, 6.30pm, 7.30pm, 9pm, until February 2. Celebrated calligrapher and artist Wissam Shawkat’s second solo exhibition Disciplined Insurgence: Beyond the Norm in Letters Form, reflects back on his career while maintaining a modern stance. The show includes his current works at Tashkeel, Nad Al Sheba, until March 5. Additionally, on February 5 at 7pm, Wissam will lead a tour, which is open to the public (free). tashkeel.org. Sit on a bean bag by the beach and watch the blockbuster movie Star Wars: The Force Awakens, filmed partly in the Abu Dhabi desert. At Zero Gravity, Dubai Marina. Movie starts at 8pm, entry Dh50, refunded back with food and beverage vouchers. Nezesaussi Grill in Dubai Marina is offering all those who work in the hospitality industry in the city a 50 per cent discount on the entire bill. Every Saturday and Sunday, all you need is to present your industry card or employee card to avail. Call 04-8883444. The Los Angeles DJ will be at 1Oak, JW Marriott Marquis Hotel, supported by DJ Tony Mendes and friends playing hip hop, R’n’B and commercial tunes. Ladies get free beverages all night. Doors open at 11pm. Call 052-8818888. Mall of the Emirates is welcoming all-female street perfomers The Dolls Girls Band, from Italy as part of the Dubai Shopping Festival activities. Four 20-minute shows at 4pm, 6pm, 8pm and 9pm, today until February 2. Boa Dubai is launching a new themed ladies night titled Story, with music By Devon Kosoko, at V Hotel, Curio Collection by Hilton, Al Habtoor City. Ladies get free beverages all night. Doors open at 11pm. Call 056-5555365. 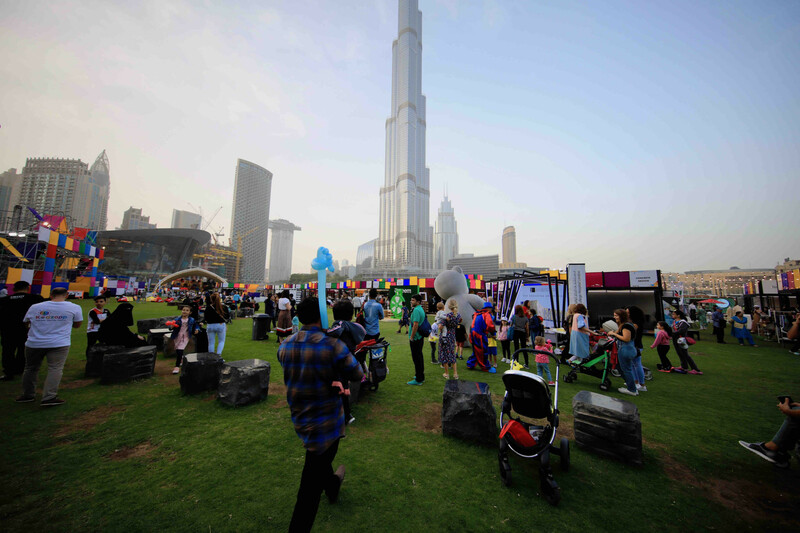 Journey to India, Philippines, Egypt, Italy and the UAE with pavilions offering themed installations, games and activities for all ages, in both main atriums of BurJuman. Free entry, activities daily from 2-10pm, until February 6.